There’s a new Bruce Lee biopic in the works, which is nothing new. But this one has at least one advantage over the army of clones that inevitably springs up around anything Bruce Lee-related: it already has his family’s seal of approval, probably because it’s their idea. 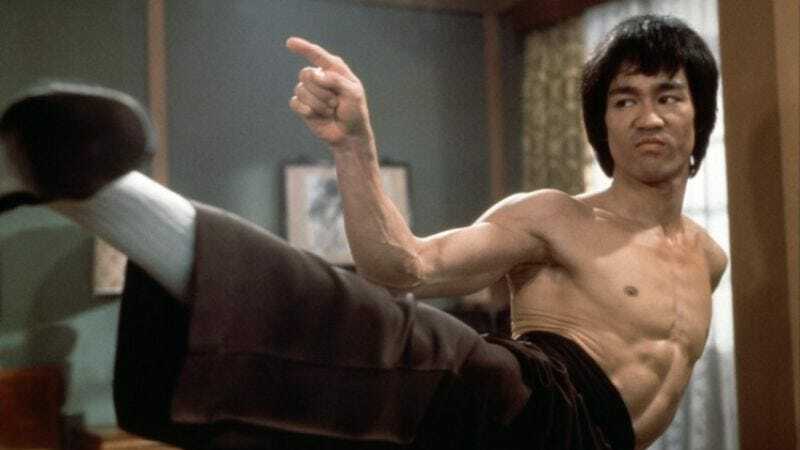 Shannon Lee, daughter of Bruce and sister of Brandon, announced recently that her family’s company, Bruce Lee Entertainment, would produce the definitive film about the life of the martial artist and actor. Of the untitled project, Lee said, “The only way to get audiences to understand the depth and uniqueness of my father is to generate our own material and find amazing like-minded partners to work with.” To that end, the family’s recruited producers Lawrence Grey (Last Vegas) and Janet Yang (The People Vs. Larry Flynt, The Joy Luck Club). Lee wants to focus on the unseen side of her father, which, according to Deadline, means the spiritual and intellectual principles that went into Lee’s martial arts style, Jeet Kune Do. Bruce Lee’s life has been dramatized and adapted for the big screen multiple times, with the efforts ranging from engaging (1993’s Dragon: The Bruce Lee Story) to unfocused (the 2013 documentary I Am Bruce Lee). In addition to Lee’s family’s film, fans can look forward to the upcoming Birth of the Dragon, which somehow got made in spite of—or maybe because of—its Lethal Weapon-ized premise.